Josh Pastner and the Yellow Jackets hit the road for the second time this season on Wednesday, heading to Evanston, Illinois to take on the Northwestern Wildcats. The game is part of the annual ACC/B1G challenge and will tip at 9:15 pm on ESPNU. 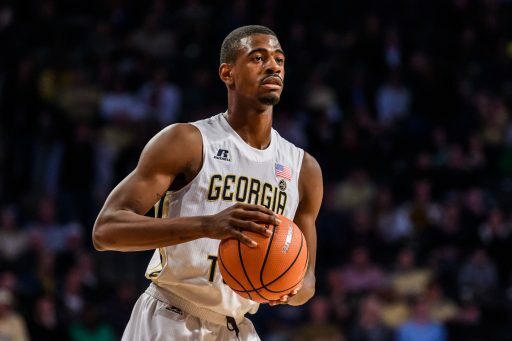 The Yellow Jackets are competing in the challenge for the 18th time and have a record of 7-10. You might be thinking that Northwestern is a familiar foe. You would be correct. This will be the fifth time that Georgia Tech and Northwestern face off in the challenge. The two met in 2010, 2011, 2014, 2017 and again this year. In the four previous match ups the Jackets are 3-1, including two wins at Welsh-Ryan Arena and each of the last three games. The average margin of victory is 8.8 points in those four games, the largest being 20 (Northwestern) and the slimmest being 1 (Tech last season). Currently, according to KenPom, Northwestern is a 68-61 favorite. Georgia Tech is currently 77th in the Pomeroy rankings, while Northwestern is 46th. While Georgia Tech is mostly led by freshman and sophomores, Northwestern has a lot of veteran leadership. Seniors Vic Law and Derek Pardon have a combined 187 collegiate contests under their belt at the Big 10 level. Two very talented transfers, Ryan Taylor (Evansville) and A.J. Turner (Boston College), bookend the Wildcat staples with 158 more games played. All four players average double figures on the season. The leader of the group is Law, who after a somewhat underwhelming career, has seemingly come into his own as a senior. He currently leads Northwestern in points (18.5), assists (3.0) and blocks (1.5). Northwestern's strength this season is their defense. While some of the numbers are currently skewed by their offensive tempo, they are currently surrendering 61 ppg (27th in the nation) and allowing 31% from behind the arc. Of course, their strength of schedule is also currently 254th in the country. Northwestern is led by Chris Collins, who is currently in his sixth season in Evanston. He has compiled a record of 93-78 overall and a 36-54 in the Big 10. The Wildcats are still seemingly cruising after a 2016-17 season that saw them go 24-12 with an invitation to the prom for the first time in program history. That season was highlighted by a last second shot by Derek Pardon versus Michigan. They ended up losing in the second round of the NCAA tournament to Gonzaga. They parlayed that success into a preseason top 25 ranking last year but ultimately under-performed. They were out of the rankings by week 3 and have yet to return. If this game was in Atlanta I would be tempted to take the Jackets. Though Georgia Tech performed well in Knoxville, I still can't get behind such a young team on the road. I expect the good guys to cover but the Wildcats to win. They have the star power in Law and a quality big man in Pardon that could ultimately negate James Banks, who is still rounding into form. Taylor and Turner have the length and experience to handle players like Brandon Alston, Curtis Haywood and Mike Devoe. Then again, Northwestern doesn't have a point guard. Georgia Tech has one with an attitude. One that really hates to lose. One that just recently willed his team to victory in a game in which they struggled a great deal. Can you really bet against Jose Alvarado when he plays with a chip on his shoulder? Will Haywood and Devoe combine to go 1-7 from deep two games in a row? Smart money says, emphatically, no. I have no idea who is going to win, but I think it is going to be extremely tight wire to wire. GTNavyNuke, MidtownJacket, lauraee and 7 others like this. Shh, let's stand over here and see where this goes between Lib and AE. MidtownJacket, bwelbo, MiracleWhips and 4 others like this. I want to see more of Alvarado, devoe, banks, Moore, & Haywood. shakim3, ChasonBaller, slugboy and 2 others like this. After watching UVA play offense this evening prior to our game, our approach to O is beyond hard to watch or think about. We routinely mock AAU basketball but I rarely see teams this bad in the way they approach the offensive end. We have a young team with reasonably good potential shooters but we are doing nothing to help anyone get a shot. That dichotomy has me really shaking my head at what CJP is thinking. UVA has all kind of screens and motion to get Guy shots - good shots. We have Alston thinking the only play is for him to put his head down and try to drive through 8 defenders to the basket. On the positive side, GT played really good D in the second half and almost rode that to getting back into the game. Alvarado is a warrior and really easy to like. But even his points were made the hard way. No easy shots. Banks was a beast in the middle. I like him. The rest of the team needs CJP to help them. After watching good to really good coaching the first couple of years this is unexpected and disconcerting. SteamWhistle, techgrad, OG-T and 2 others like this. Will this game even be played? Nasty up that way. MiracleWhips, GTRhino24, lauraee and 2 others like this. I'll be there with my 3 oldest kids. Sitting in Section 109, behind the bench. MidtownJacket, lauraee, awbuzz and 2 others like this. I don't necessarily want to see more "bad" shots but I take your point we have to shoot more to stretch the floor. Right now we are running a 4 out set trying to get good spacing (which we generally have to start) and then looking primarily for a drive and dish initiation of the offense. This works pretty well if you are Duke or KY with superior athletes who can take folks off the dribble. It is a staple of high end AAU teams who have superior players and want to minimize double teams. We don't have those athletes. I like Alvarado and Devoe but they are not guys who can come down court and routinely beat good P5 players off the dribble. Note our performance at UT and again last night - especially in the first half. So at half CJP put in that really high 3 man weave to try to get an offense initiated. That did force some movement and did create some minimal driving lanes. So at that level good, but at the other levels it destroyed any spacing in the offense and took everyone off the 3 point line - but it also didn't create a "lot" of space so most of the drives were head down hard as I can go drives to contested layups/floaters. Alvarado made some really hard, contested layups but didn't have anything remotely close to easy. I don't remember a kickout to a shooter off that weave. Alston did have a couple of times he could have kicked but he was so head down he couldn't have seen a shooter 2 feet from him. Basketball is about getting "easy" baskets - not necessarily layups but good open shots. Even UVA - for all the crap their pace of play gets them - is really good at getting their shooters relatively open "easy" shots. But they have an approach to movement and screens that the players understand and execute. Everyone is really good at their roles from Salt who screens like a brick wall to the shooters Guy and Jerome. We don't get anything easy. I hate to say it but this year the offense looks a lot like Hewitt's CTO. Not a lot of movement and a requirement for the PG or someone to finally drive to the hoop to start something. It was an early form of "positionless" basketball. Going forward, we have to accept that we don't have the athletes/players to simply put them in space and expect they can make a play on their own. We are not Duke. We are a lot more like UVA or Michigan or one of several teams with good to great players who run different variations on somewhat structured motion offenses to initiate an offense and get "easy" shots in the flow of an offense. And a lot of these should be 3's. That is the game today. There are a ton of ways to do it from modified Princeton to whatever. But underneath it all is a recognition that we have to help these younguns get legit shots this year - especially if we want the next wave of recruits to see themselves being successful at GT and in this offense. senoiajacket, ESPNjacket, techgrad and 1 other person like this. I wouldn't be surprised to see the Jekyll/hyde act all season. We really needed somebody to light a spark under us in the first half and it just never came. I hoped they learned that they cannot just coast. They have to play with 100% intensity all game. We will win games with defense and effort--you all saw the way we played in the 2nd half. We played well. We played aggressive. Nice game, Alvarado. And nice to see some offense out of you, Banks. We got some good defense and minutes out of Moore, too. Wright....you'll get'em next time. Haywood, please remember to shoot. Phillips...where are you? Devoe, I like what I saw from you, but you need to shoot more too. THWG, MiracleWhips, msargent1 and 1 other person like this. We were down by 28 when I made this post. TarTriton, bwelbo, kg01 and 1 other person like this. What a joke. 2-3 caliber acc players and our only recruit for next year doesn’t even start for his juco team. AUFC, H-Wade, THWG16 and 1 other person like this.